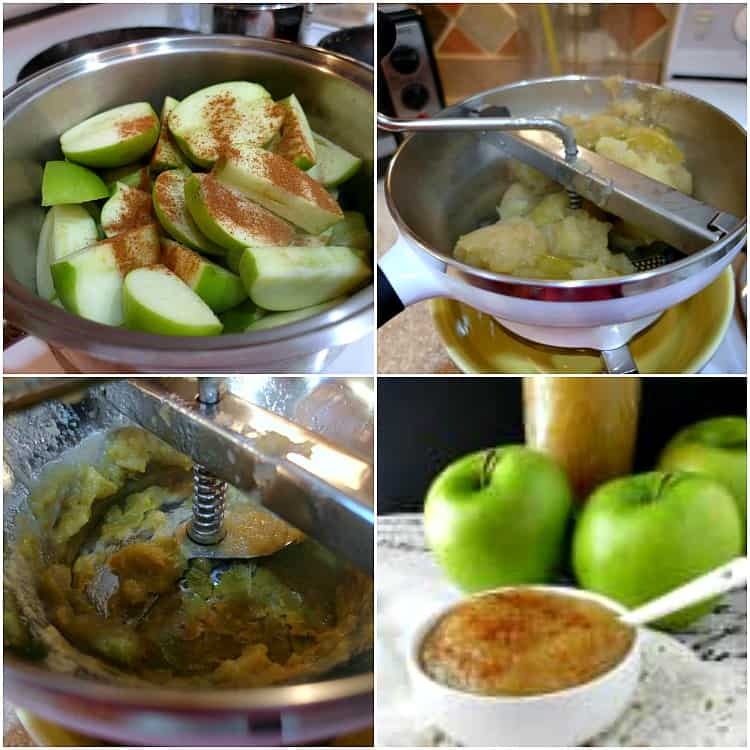 I often make applesauce with several different apples all in the pot together, but this Granny Smith applesauce is pure Granny Smith–applesauce that celebrates the tart green apple! This post contains affiliate links. Spring is Springing all around us here in North Carolina. Trees that until recently had been dormant are now leafing out. Flowers are popping up here and there. The children are bringing in a ton of mice (thanks, children). All signs of Spring. Apples do not sing of Spring. They sing of crisp Autumn Days; of long cold evenings; of trees that blaze red, yellow and orange. I’m not really sure why my mind went to applesauce yesterday. Bright blue sky. Warm sun. Cool breeze. Windows thrown open. For me, a perfect day. It could be that, taken by itself, yesterday could also have been a glorious Autumn day. Bright blue sky. Warm sun. Cool breeze. Windows thrown open. In North Carolina, we are fortunate to have four distinct seasons, although I’m pretty sure the summers are a bit longer and hotter than they used to be while the winters are a bit shorter and milder. Spring and Fall are my favorites though. Change is in the air. In the Autumn, nature gets itself ready for bed. In the Spring, it goes about its morning routine. And even though gloriously perfect Autumn days inevitably lead to colder days and longer nights while gloriously perfect Spring days lead to the longer, hotter, humid days, I savor them both. Rather than anticipate the days that follow with just a bit of dread, I choose to live in the moments of those perfect Spring and Fall days. And that, my friends, is why I ended up making applesauce yesterday. 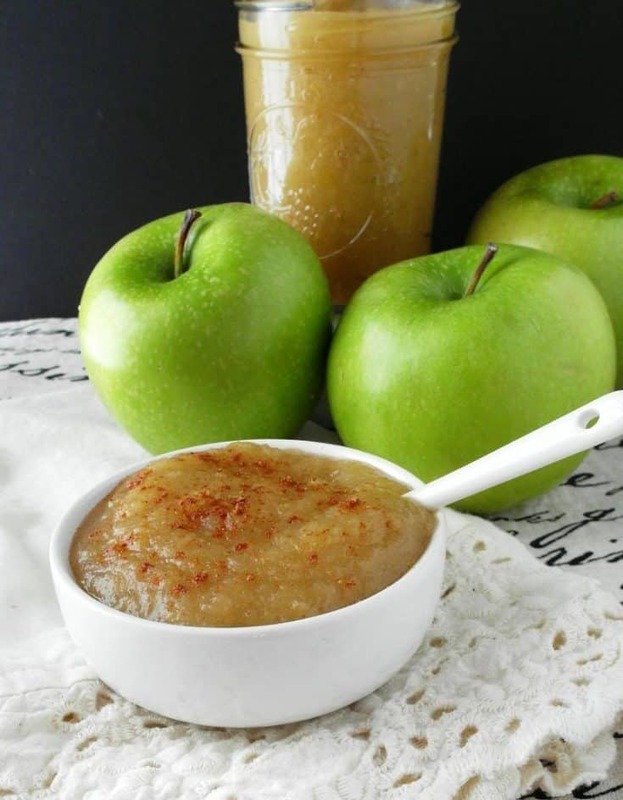 And now you can make some Granny Smith Applesauce, too! 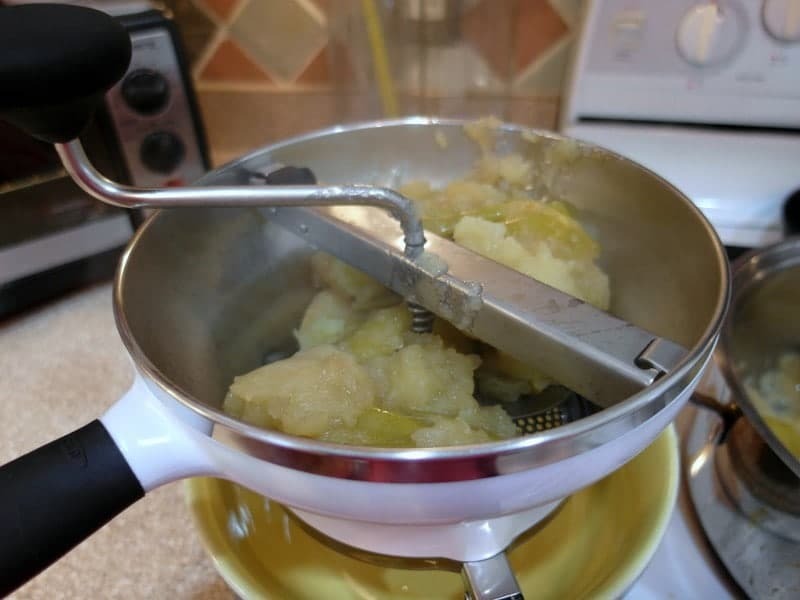 Hands down, my favorite way to make applesauce, Granny Smith or otherwise, is to c0ok it down, skins, seeds, and all, and then run the cooked pulp through my food mill. If you love the texture of jarred applesauce, you will definitely want to invest in a food mill. 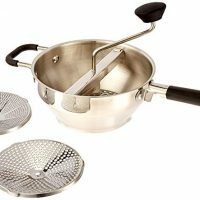 An immersion blender, blender, or food processor won’t get you that kind-of-chunky-yet-smooth texture a food mill will, plus they can’t separate out the seeds and skins the way a trusty, low-tech food mill can. Four ingredients. Couldn't be easier. I am not giving any real measurements here because it really is made all to taste. Use whatever apples you have on hand. Feel free to change up the spicing however you see fit. 1 1/2 cups Apple juice or apple cider, or enough to fill your pan by about 3/4". Place the apples, salt and optional spices into a heavy-bottomed pan large enough to hold all the apples. Pour in the apple juice or apple cider. Bring up to a boil and then turn the heat down to maintain a simmer. You will have to stir occasionally to make sure all the fruit has a chance to cook in the juice in the bottom of the pan. When all the fruit is cooked and very soft, remove from heat and run through a food mill fit with the medium die. 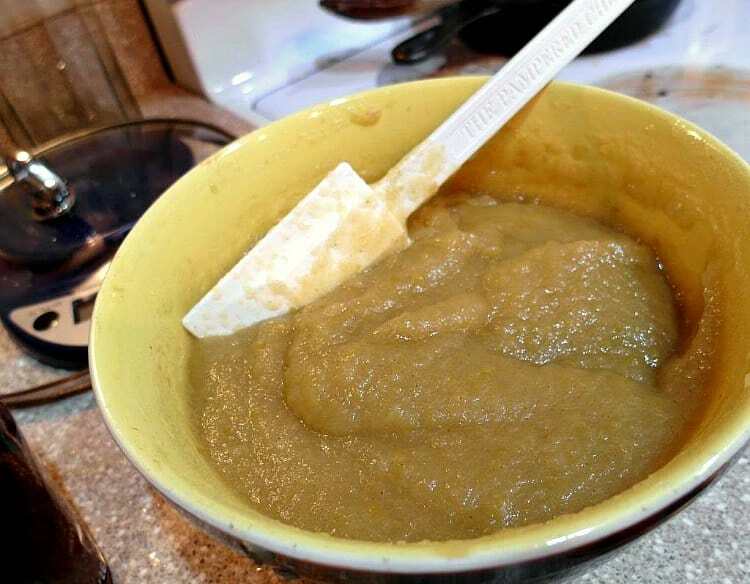 Taste the applesauce and add sugar to your taste if it is needed. If you use very sweet apples, you might not need any at all. I used 100% Granny Smiths, so I definitely had to add some. Taste again and adjust seasonings. Use within a week to ten days. 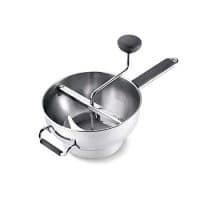 If you don't have a food mill, you can mash your apples with a potato masher, run them through a ricer or even use your blender or immersion blender for very smooth sauce. If using one of these methods, go ahead and peel the apples before cooking. 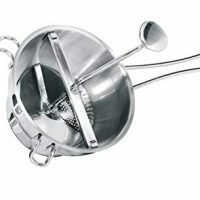 Here are a few food mills to choose from. The simple design has been around for years and years. You really can't go wrong. Ever wondered what the difference between applesauce and apple butter is? I can help with that. 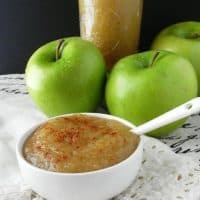 There is no reason that you can’t add other fruits to your applesauce, so don’t feel bound by convention to just stick to apples. Cranberries, raspberries, strawberries…What kind of fruits would you put in yours? 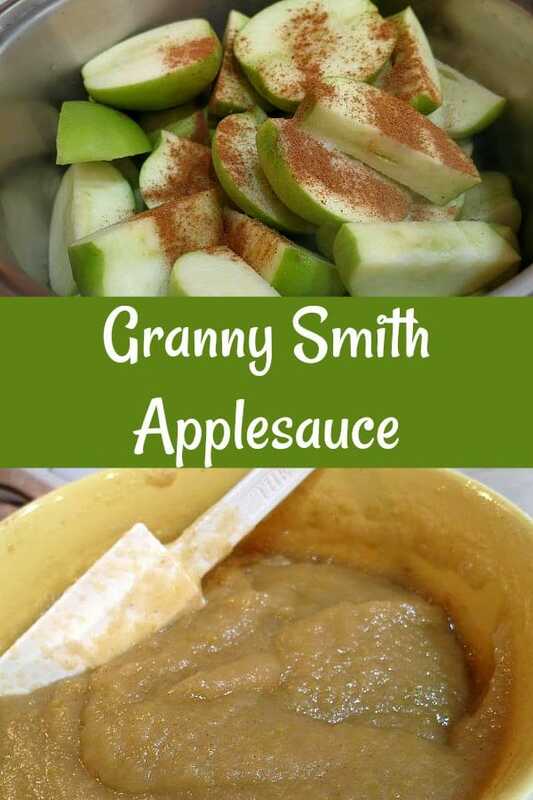 Enjoy the Granny Smith Applesauce, friends. Thank you for spending some time with me. Have a lovely day. Where’s the damn recipe? If it’s not on page one, forget about it. How stupid. 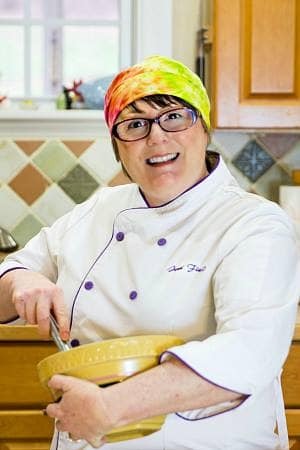 In the time it took you to curse at me, you could have clicked for and printed the recipe. Take care. My Granny Smith trees went crazy this year. Great to make this and share with friends.